Looking for a used cars for sale in Weymouth from a dealer you can trust? Then take a look at our range of pre-owned cars currently listed on ebay, all of which are in great condition and prepared by our own fully qualified mechanics. 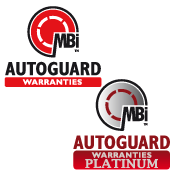 Our used cars are available with Autoguard and Autoguard platinum warranties, see the video here. Building on the growing success of RS CARS, Weymouth, our quality used car and van centre, we now buy and sell used cars, so if you are looking to buy a used caravan, or you are trying to sell your old caravan, then visit us on the Granby industrial estate or contact us today ! I cannot recommend this garage enough ! They look after all of my private vehicles as well as my fleet of works vans ! They have all the facilities to maintain your vehicle ! Fantastic all round garage !